Google Chrome is one of the favorite mobile browser in Android users, aside from being popular and known it also came pre-installed to your device. We use it to browse websites, stream and download files using our smartphones. Unlike desktop version, Google Chrome for Android mobile features is bit different and limited in terms of feature management. We’re talking about how it handles downloads, how to delete and where to find the downloaded files on your phone. You can check the list of downloads by clicking the 3 vertical dots on the upper right of Chrome browser, or you may find the list of downloaded files on your home page. 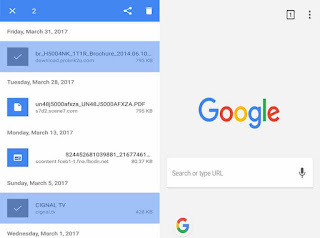 There are few options to delete your downloaded files in Google Chrome for Android, when you have successfully downloaded a file it will automatically listed in ‘Downloads’ and stored on your preferred download folder location. Click on Google Chrome option button (3 dots on upper right). On the list, tap and hold a file or files you want to delete. Click the delete icon to start file deletion. Please note that deleting files in downloads also delete the original downloaded file. 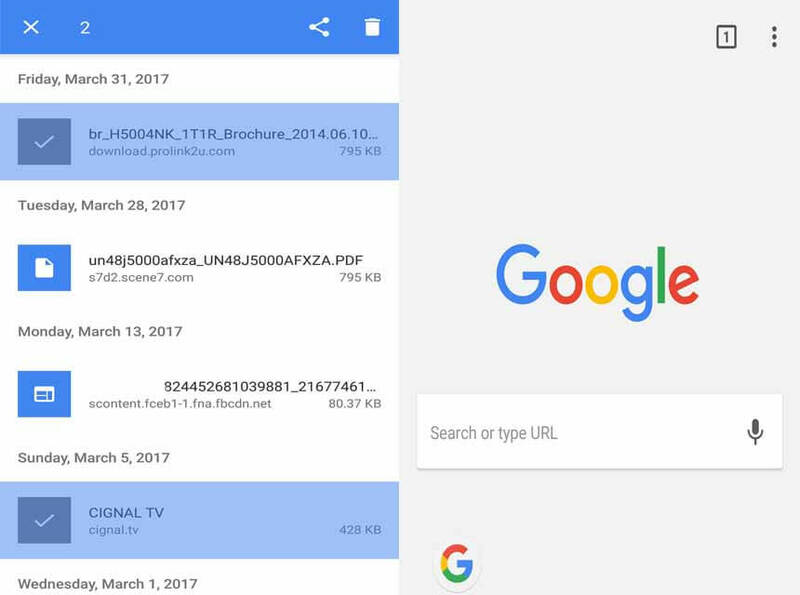 You can only undo or restore the file you deleted right after you perform a delete by clicking the undo prompt at the bottom part of the Google Chrome screen. Also, another option to delete downloaded file is by going to your download folder, it may be on your internal or in micro SD card depending on your preferred file saving location.